Bright, curious, and restless, Ruthie Stoltzfus loves her family but is stuck in a sea of indecision about her future: Should she stay Amish? Or should she leave? She’s done all she can to prepare to go–passed the GED, saved her money–but she can’t quite set her journey into motion. Patrick Kelly is a young man on a journey of his own. He’s come to Stoney Ridge to convert to the Amish and has given himself thirty days to learn the language, drive a buggy, and adapt to “everything Plain.” Time, to Patrick, is of the essence. Every moment is to be cherished, especially the hours he spends with Ruthie, his Penn Dutch tutor. Ruthie’s next-door neighbor and cunning ex-boyfriend, Luke Schrock, is drawn to trouble like a moth to a flame. Rebellious, headstrong, defiant, Luke will do anything to win Ruthie back–“anything”–and Patrick Kelly is getting in his way. Although The Devoted continues story lines that began in earlier books, it can easily be enjoyed as a stand-alone novel. However, fans of Amish fiction won’t want to miss a single story! 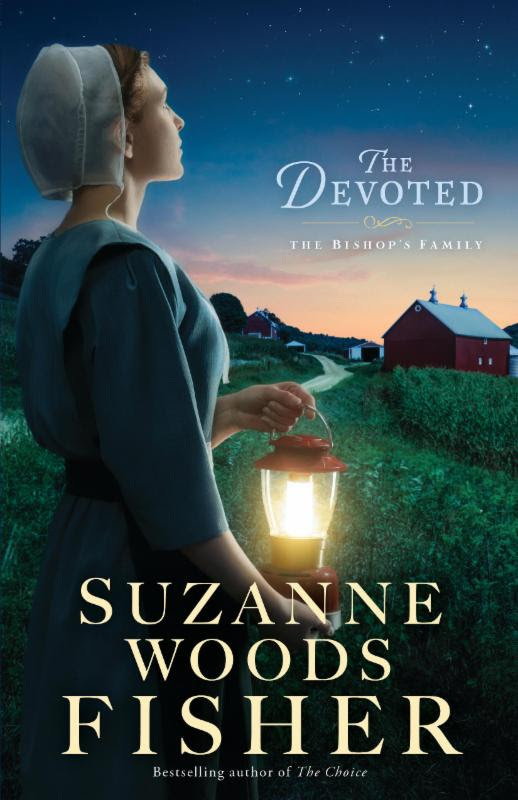 Suzanne is celebrating the release of The Devoted with a special giveaway! Enter today, but hurry! The giveaway ends on November 2. The winner will be announced November 3 on Suzanne’s blog. Enter to win by filling out the form when you click here, or click the graphic above to enter to win. The Stoltzfus family faces serious problems, both in the church and at home. Everyone in the community expects minister David Stoltzfus to fix things–fast. But David doesn’t work fast. He prefers to wait for God to work in individual hearts. However, even he is left wondering if the solution to their most pressing problem might be a Quieting. When David’s mother arrives, uninvited, more upheaval is in store. She has matchmaking plans for everyone in the family, including David and her eligible granddaughters–and especially for David’s niece Abigail. When Abigail stumbles onto a curious connection during her genealogical research, it could help David solve one problem–but will it create another? 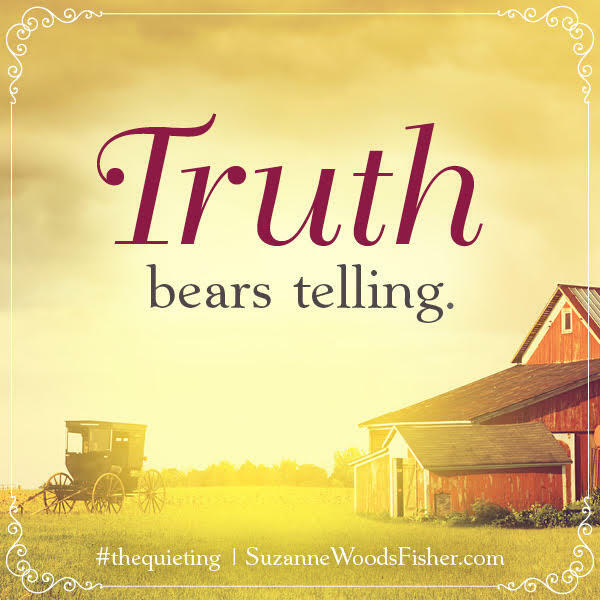 The Quieting is a great story! 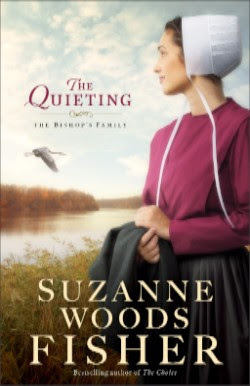 Suzanne Woods Fisher welcomes readers back to Stoney Ridge in this second installment of The Bishop’s Family series. While The Quieting continues a story line that began in Book 1, The Imposter, it can easily be enjoyed as a stand-alone novel. As problems continue to plague the church and community, David Stoltzfus struggles to find the right solutions. I really enjoyed David’s journey, as well as the relationship that developed between his niece Abigail and Dane Glick. Fisher brings this story to life with memorable characters, an engaging plot, and wonderful wit and wisdom. I delight in spending time in the quaint community of Stoney Ridge and look forward to returning as the series continues!